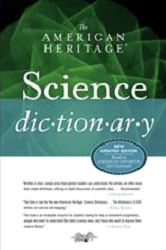 The American Heritage® Science Dictionary defines the vocabulary of the sciences in language general readers will understand and enjoy. It covers all the major fields of science, from the fundamental disciplines of chemistry, physics, biology, and mathematics to the applied realms of medicine, earth science, technology, and anthropology. 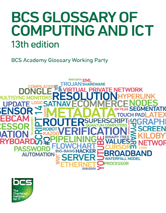 Written in an easily accessible style, this unrivaled study aid and reference tool is specifically designed to support those taking computer courses or courses where computers are used, including GCSE, A-Level, ECDL and 14-19 Diplomas in Functional Skills in schools and further education colleges. 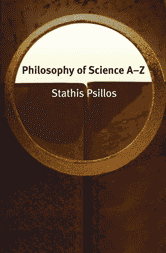 Philosophy of Science A-Z gives concise, accurate and illuminating accounts of key positions, concepts, arguments and figures in the philosophy of science from A priori/a posteriori to Elie Zahar. It aids understanding of current debates, explains their historical development and connects them with broader philosophical issues. It presupposes little prior knowledge of philosophy of science and is equally useful to the beginner, the more advanced student and the general reader. Readers will find in it illuminating explanations, careful analysis, relevant examples, open problems and, last but not least, precise arguments. 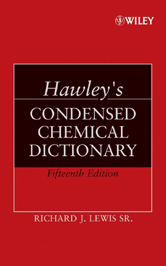 Hawley's Condensed Chemical Dictionary is a compilation of technical data and descriptive information covering thousands of chemicals and chemical phenomena, trade name products, processes, reactions, products, and related terminology. This authoritative A-to-Z resource covers classical morphological and cytological terms along with those from modern genetics and molecular biology. Extensively cross-referenced, the Dictionary includes definitions of terms, explanations of concepts, and biographies of historical figures. Comparative aspects are described in order to provide a sense of the evolution of structures. 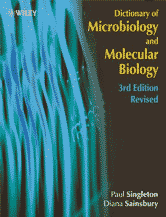 This Third, Revised Edition of a unique, encyclopaedic reference work covers the whole field of pure and applied microbiology and microbial molecular biology, from A to Zythia. 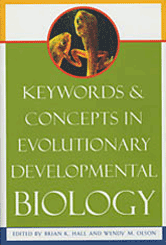 Keywords and Concepts in Evolutionary Developmental Biology is the first comprehensive reference work for this expanding field. 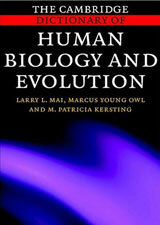 Covering more than fifty central terms and concepts, from Animal Phyla to Variation, in entries written by leading experts, Keywords offers an overview of all that is embraced by this new subdiscipline of biology, providing the core insights and ideas that show how embryonic development relates to life-history evolution, adaptation, and responses to and integration with environmental factors. The eleventh edition of the Penguin Dictionary of Biology has been fully revised and updated to include the latest developments in the field. 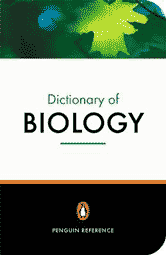 This dictionary offers clear explanations of biological concepts and processes, and the broadest coverage of the subject, from ecology to immunology and cytology. This will be an indispensable reference aid for would-be biologists and professionals alike. 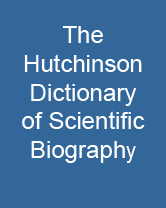 The Cambridge Dictionary of Human Biology and Evolution (CDHBE) is an invaluable research and study tool for both professionals and students covering a broad range of subjects within human biology, physical anthropology, anatomy, auxology, primatology, physiology, genetics, paleontology, and zoology. This box will search all of your Credo Reference Science titles.